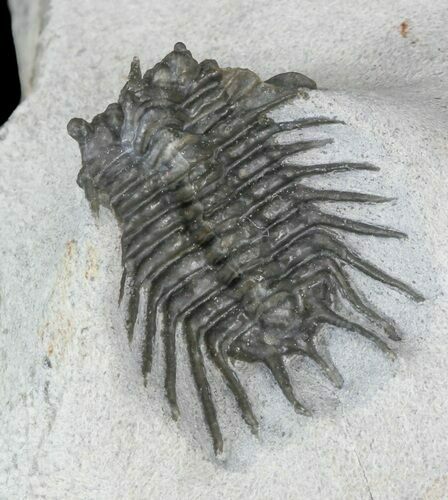 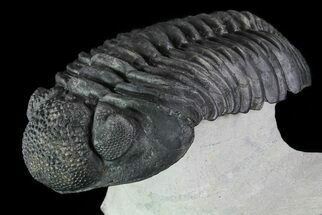 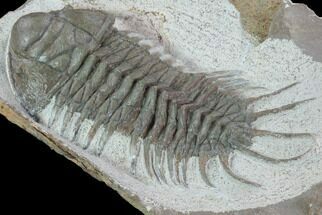 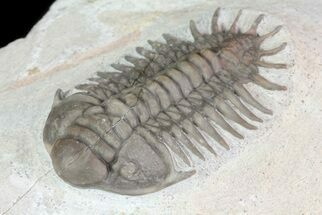 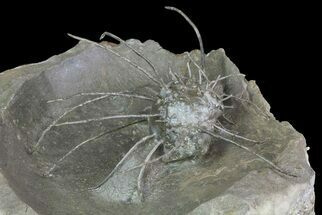 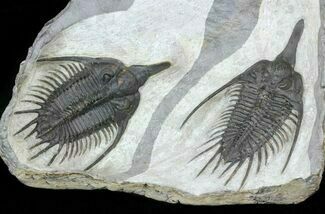 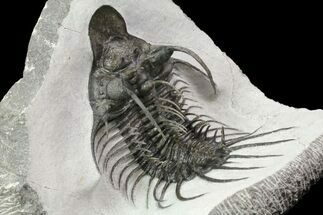 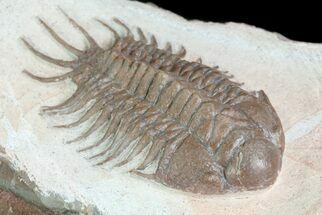 This is an undescribed Odontopleurid trilobite from Jorf, Morocco which seems to have affinities to Laethoprusia. 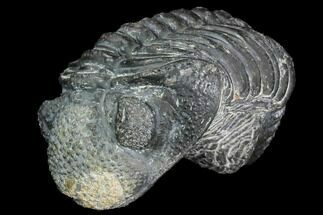 I've only seen a handful of specimens of this species, a few from Issoumour with a black shell preservation and a couple from Jorf with a reddish/brown shell preservation. 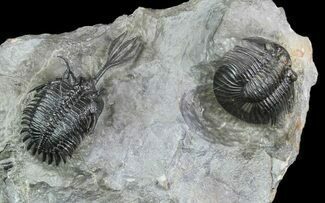 They appear to be the same or very similar species.